Property 2: Law Brook Farm Cottage set in a area of outstanding natural beauty. 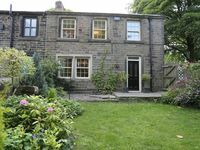 Property 3: The Old Wash Kitchen, Holmfirth. Cosy, quirky, 2 bedroom holiday cottage for 4. The Old Coach House. Quiet. Private. Historic. 5*. Breakfast included. Property 11: The Old Coach House. Quiet. Private. Historic. 5*. Breakfast included. Beautiful detached cottage- Peak District, Derbyshire. Dog-friendly! Property 24: Beautiful detached cottage- Peak District, Derbyshire. Dog-friendly! Property 38: Stunning Views & Short Walk to Holmfirth. Very Secluded. WI-FI. King bed. Double Room, Private En-Suite with Free Wifi. In the Centre of Penistone. Property 44: Double Room, Private En-Suite with Free Wifi. In the Centre of Penistone. Gorgeous Old Hall Cottage is situated in the heart of the Peak District. Property 45: Gorgeous Old Hall Cottage is situated in the heart of the Peak District. The Nook at Back Tor Farm - an idyllic rural bolt hole. Property 49: The Nook at Back Tor Farm - an idyllic rural bolt hole. Property 50: Cosy studio flat in great location! 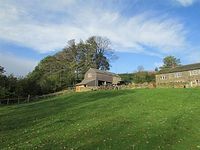 Beautiful, tastefully decorated barn conversion,situated near the pretty village of Thurstonland. The property overlooks the moors and is ideal for people who enjoy walking, or just sitting outside in the garden and enjoying the views. The cottage was a delight, beautiful decor and comfortable beds, enriched the memorable experience. A real treat for international travelers. Thank you for the biscuits, toast, jam, and juice to help us start our day. We had a lovely home stay!